This page is intended to describe the benefits of the activities presented on the blog and is for use by ANYONE! As moms, we understand that some of the medical lingo related to pediatrics might leave you scratching your head and totally confused. 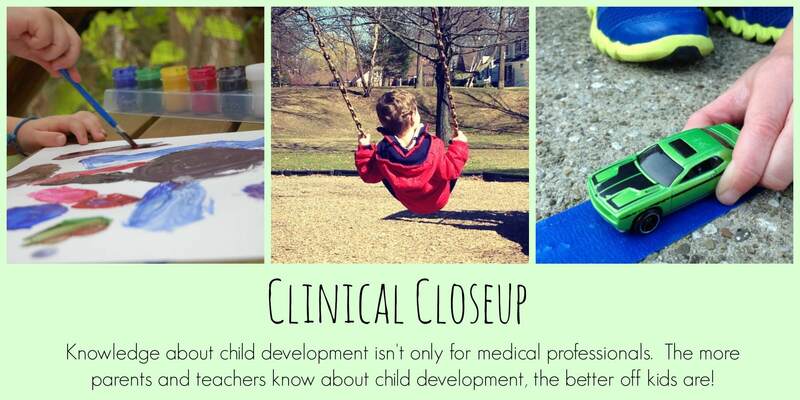 But as medical professionals, we don’t think anyone should be left in the dark when it comes to healthy development for kids! That’s why you’ll find a brief, user-friendly summary after each medical definition, just to make sure we’re all on the same page. Balance is the ability to maintain the line of gravity of a body within the base of support with minimal postural sway. Sway is the horizontal movement of the center of gravity even when a person is standing still. To put this one in easy to understand terms, balance is the ability to hold your body upright and steady without falling down! This could be in sitting or standing, eyes open or eyes closed. Bilateral Coordination is the use of both sides of your body at the same time. Plain and simple, right? So many academic and recreational activities require bilateral coordination. From a jumping jack to catching a ball with two hands to buttoning your shirt. Cognitive Skills are faculties for the processing of information, applying knowledge, and changing preferences. Our cognitive skills are what make us who we are and allow us to perceive and interact with the world around us. These skills include: initiation (knowing what to do and then doing it independently, not needing a prompt to get started), organization (keeping space and materials in some kind of logical order…i.e. being able to find your grocery list when you get to the store), planning (understanding the steps of a task before beginning…i.e. making sure you have all of the ingredients before you get halfway through the recipe), problem-solving (figuring out a way to get your three-year-old to take his medicine when it’s “the yucky kind”), and sequencing (performing the steps of a task in a logical and effective order). Coordination is the combination of body movements created with direction and force that result in intended actions. Motor coordination is achieved when subsequent parts of the same movement, or the movements of several body parts are combined in a manner that is well timed, smooth, and efficient with respect to the intended goal. WHHHHHHAT??? This doesn’t have to be so difficult. Have you ever heard the saying “she can’t walk and chew gum at the same time? ?” This is coordination. Moving your body together – smoothly – to create a movement. Like dribbling a basketball using your arm and hand to bounce the ball while your feet and legs move you around the court. Coordination takes place for both complex movements (like the basketball example above) and for even the simplest movements, like grasping a spoon and bringing it to your mouth. Endurance is the ability to demonstrate sustained effort without physical fatigue. If you’ve ever played tag with a group of preschoolers, you’ve seen a good example of endurance. Most kids seem like they can go, go, go without ever needing a break. Endurance is how long you can keep moving. Adults tend to move less than kids because of things like desk jobs and driving. They also tend to sleep less than kids because of things like crying babies and sinks full of dishes. Because of this, they usually have lower endurance than kids, leaving them panting and begging for a break during that game of tag! Fine Motor Skills are the coordination of small muscle movements which occur in body parts such as the fingers, usually in coordination with the eyes. -Finger Isolation is the ability to separate the use of the fingers individually or in groups. -In-Hand Manipulation is the ability move and position objects within one hand without the assistance of the other hand. This is how we position, orient, and adjust objects using small, precise movements of the fingers and palm. It’s how your little one picks up marbles or cheerios with his fingers and squirrels them away in his palm using only one hand. In-hand manipulation allows your child to rotate his pencil to erase a mistake, or to adjust his grasp on his fork while he’s eating dinner. Flexibility is the distance of motion of a joint, which may be increased by stretching. We’ve all marveled at how kids can bend and stretch their bodies during play in ways we didn’t think were even possible. Everyone loses at least a little of our flexibility as we age (is it getting harder to touch your toes these days?) but flexibility is what gives us mobility in our joints and the ability to stretch and reach. Grasp is the ability to pick up and hold objects with the hand. Pretty easy, right? But if you look closely, you’ll see that kids (and adults) actually use many complex ways of holding objects with their hands. They may use their thumb and first finger to pick up a bead (pincer grasp), or three fingers to hold their pencil (tripod grasp), or their whole hand to grab the handle of a hammer (palmar grasp). It’s important for kids to have sufficient strength in their hands and to be able to figure out the most efficient way to hold the objects in their environments. Gross Motor Skills are abilities usually acquired during infancy and early childhood as part of a child’s motor development. By the time they reach two years of age, almost all children are able to stand up, walk and run, walk up stairs, etc. These skills are built upon, improved and better controlled throughout early childhood, and continue in refinement throughout most of the individual’s years of development into adulthood. These gross movements come from large muscle groups and whole body movement. These skills develop in a head-to-toe order. The children will typically learn head control, trunk stability, and then standing up and walking. Think of your child using their BIG muscles. These are the muscles that are in charge of major movements like walking, kicking a ball, picking something up., jumping. Each one of these gross motor skills adds on to another to create an even bigger skill. Midline Crossing means that one hand spontaneously moves over to the opposite side of the body to complete a task. Watching little ones play with cars or trains on the floor is usually a great way to observe this skill. Kids typically grasp their car with their dominant hand and zoom it all over the place, holding the car in front of one side of the body and then the other. You can also see midline crossing when a child is drawing on a large piece of paper, holding a crayon with one hand and filling up all spaces on the page (crossing over the middle of the body with their dominant hand to reach the opposite side of the paper). You’ll see midline crossing when your child throws a ball or hits a ball with a bat. Motor Control is the process by which humans organize and execute their actions. It is the integration of sensory information, both about the world and the current state of the body, to determine the appropriate set of muscle forces and joint activations to generate some desired movement or action. Successful motor control is crucial to interacting with the world, not only determining action capabilities, but regulating balance and stability as well. Wow…that was a little wordy! Motor control is simply the ability to use your muscles to create a specific movement for a particular task, like swinging that bat or moving a toothbrush across your teeth. It’s having the “control” over your muscles to stop and start a movement, to complete that movement quickly or slowly. Motor Skills are learned sequences of movement that combine to produce a smooth, efficient action in order to master a particular task. This is further broken down into fine and gross motor skills. Posture refers to the stabilizing and aligning of the body in relation to spaces and objects in the environment. If you’ve said the words: “Sit up straight at the dinner table,” you’re asking for good posture. Having good posture depends on physical strength as well as the ability to find the most efficient position for what you’re doing (is your body turned in a way that you can see what you’re doing?). Prewriting Skills are the developmental precursor to handwriting. These skills lay the foundation for later-developing complex handwriting skills. When kids are engaging in all of the fun arts and crafts activities of childhood, they are working on prewriting skills. They learn to trace, imitate, and copy simple lines and shapes; they learn to grasp and move writing utensils effectively. Activities like mazes, connect-the-dots, coloring books, and tracing are all working on prewriting skills. Proprioception is the sense of the relative position of neighboring parts of the body and strength of effort being employed in movement. Put more simply, proprioception is where your body is in space. Can you stand up from a chair and know that your feet are underneath you to hold you up? Can you swing from the monkey bars and know that, when you drop, you will land on your feet? We are experiencing sensations all the time! 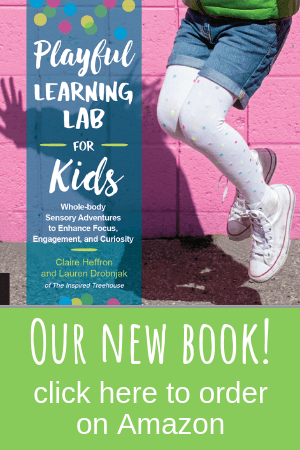 Including what we see (vision), what we hear (auditory), what we feel (tactile), what we smell (olfactory), what things taste like (oral), and the way our bodies feel when we move (vestibular and proprioception). We use these sensations to create appropriate responses to everyday situations. An example would be hearing a fire alarm and automatically lining up to exit the building, or feeling crumbs on your face and wiping them away with your napkin. Sensory Processing Disorder (SPD), is a condition in which sensory signals aren’t organized into appropriate responses. Check out the following resources if you want to read more. Social Skills are any skills that facilitate interaction and communication with others. Social skills include: social appropriateness (understanding what to say, what not to say, and how to behave in order to fit into a social group), emotional self-regulation (dealing with social situations appropriately, even if things aren’t going your way), communication (how we make our thoughts, needs, and feelings known and how we get to know others), and cooperative play (when two or more children are interested in the same thing at the same time and show an agreement to participate in the activity together). Strength means having physical power and energy, having the capacity to exert force. Having strength means being able to exert enough force to move our bodies efficiently and to be able to act on the objects in our environment (e.g. to be able to pick up a weight, to be able to get up off of the floor, to be able to carry a toy up the steps). Trunk (Core) Stability is the strength of the middle of your body, your postural control muscles including the abdominal wall, diaphragm, pelvis, and lower back. Core stability is important in development of bilateral coordination skills, midline crossing, gross and fine motor skills, and balance. 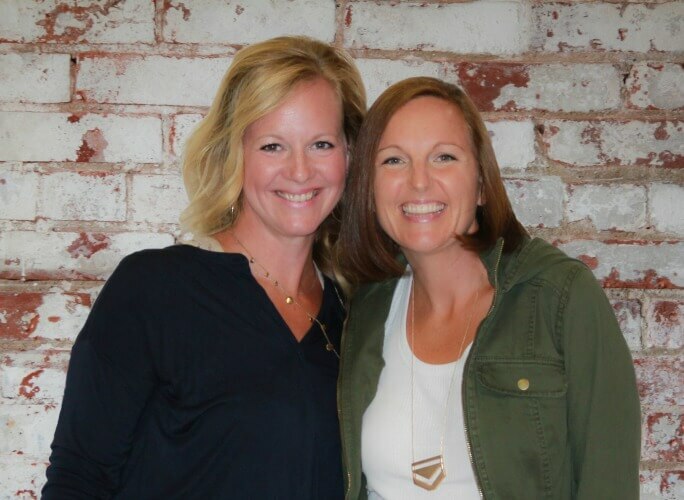 You’ve probably heard this a hundred times….”stand up straight”, “pull in your tummy”….this is your core working. Your core holds you up in sitting and in standing. It keeps you stable while your arms are moving and working on something else. Visual Motor Integration refers to the ability to coordinate motor output with visual input. More simply, visual motor integration is hand-eye coordination. It is how we use our vision to guide the movements of our bodies. Kids use visual motor integration during many daily activities, from catching a ball to cutting with scissors. Visual Perceptual Skills are a group of skills used to gather visual information from the environment and integrate them with our other senses. There are a lot of these skills and they all have fancy sounding names, but essentially, visual perception is how we make sense of what we see. Visual perceptual skills include: visual memory (how we hold onto the information we take in through our eyes), visual sequential memory (how we remember a series or sequence of visual information like a phone number), visual spatial perception (how we understand space, position, and orientation), visual discrimination (how we identify similarities and differences between objects), visual attention (keeping our focus on the relevant visual information), form constancy (how we recognize that a square is still a square even if its size/orientation/color are altered), and figure ground perception (how we can locate a specific object with a competing visual background – like finding a pen in the messy junk drawer). Be sure to check out our most popular posts, called Tricks of the Trade, where we explain common developmental issues that come up for kids and give tips and suggestions for each! Follow our Tricks of the Trade board on Pinterest too! Follow The Inspired Treehouse’s board Tricks of the Therapy Trade on Pinterest.